When I got my tickets to see Cate Blanchett and Stephen Dillane in When We Have Sufficiently Tortured Each Other in the National Theatre’s ballot I did ponder whether it was the most romantic thing to take my husband to see on Valentine’s Day. Then I read the reviews and it felt more booby prize than golden ticket. It’s a terrible play, let’s face it, although there are interesting things in it. Are these two people locked in a marriage or has she been trapped by an abusive abductor? Is he master manipulator or a pathetic inadequate (or both)? Then it becomes clearer (I think) that it’s about the fluidity of the roles people can play in a relationship. Playwright Martin Crimp says it’s about “predator and prey“, but it’s impossible to pin down which is which. It’s saying that women can be dominant and men submissive (and vice versa) when they choose, and both can be a representation of their true nature; that there’s more than one way to be desirable and more than one response to being desired. That occasionally the best way to get over the tedium of who’s turn it is to make the sandwiches is to disappear for some creative play in the garage. Maybe there are clues in the book (though there’s probably less gaffer tape, shaving cream or scenes on the back seat of a four-door family saloon in Samuel Richardson’s original). As of this lunchtime I no longer have a child in school. After 15 years of book bags and reading practice and PE kit and lunch money and parents’ evenings and INSET days and school reports and grumbling about the price of uniforms, suddenly it’s all over. One is off to university this autumn, the other will be heading for sixth form college, unburdened by the need to put his hands on his school tie ever again. They’ve changed a lot, of course, in the past 15 years. Possibly not as much as the school system has. Beneficiaries of New Labour’s “education, education, education” largesse they went to an excellent local primary school, and have kept one step ahead of the reformers ever since. They’ve done fine, of course, thanks to a series of hard-working, professional, and downright wonderful teachers who cajoled, inspired, and enlightened them all the way and who genuinely seemed to care about what happened to them. And not everything has changed since my day. I asked my son how he felt about leaving. “Now it’s over I can look back on it and say it was great” he said (remember, he left school about two hours ago) “But at the time, when you’re there and you’re a teenager and you hate everything, it makes you feel like banging your head on the desk.” I doubt there’s anyone who went to any school, anywhere, who doesn’t know exactly how that feels. I’ve been trying and failing to write about the EU referendum campaign from a comms perspective; hoping to make sense of the messages we’re getting, the choices on offer, the strategy and tactics each side are deploying. I’ve given up. There is no logical sense to this campaign which seems to be based on an abandonment of respect for the truth, a descent into scare-mongering and deceit on all sides and racist dog-whistles as blatant as air-raid sirens. I don’t think I have ever felt more depressed about the future of the country. I started dyeing my hair in 1980. I finished last week. You always remember the first time. For me it was a trip to the hairdresser designed to make me feel grown up. It ended with aubergine-coloured hair, definitely frowned on by school, which I tried and failed to convince my friends was deliberate. 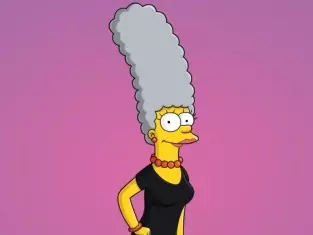 After that I stained my mother’s towels orange with foul-smelling henna for years before turning platinum blonde in about 1989 with a dye job done by a Swiss hairdresser friend of my flatmate’s, who burned my scalp with bleach. I carried on dyeing my hair long after teen rebellion had ended, and well before the grey set in – copper, blonde, mahogany, russet streaks; strands of hair pulled painfully through the holes in a rubber cap with a crochet hook before the merciful discovery of wrapping hair in twists of foil. The hairdresser’s chair was one place I felt that I could play around with my appearance in a way which didn’t involve the miseries of clothes shopping (I am not a standard shop-size: shorter than average, broader of back, larger of chest. Things are slightly better now, but trips to buy clothes always seemed to end in accepting the things I could fit into rather than anything I might actually want to wear and a consolation trip to a bookshop to cheer myself up. 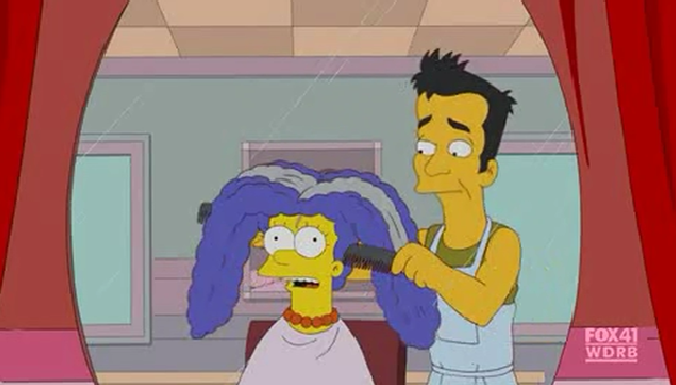 At least your hair always fits). During the child-care years, the hairdresser represented a couple of hours’ peace and quiet, a link back to my pre-motherhood life where I could read a magazine without interruption and someone else made the coffee. More recently it’s become a chore. As the grey advances it feels like a necessity not a pleasure; maintaining the pretence that I’m not getting older, out of a fear that older means past it. It’s a jolly expensive pretence though. I have my hair cut every couple of months. At London salon prices, a cut and colour six times a year runs into many hundreds of pounds, which frankly at the moment I can’t afford, and which has become one more damn thing to worry about. 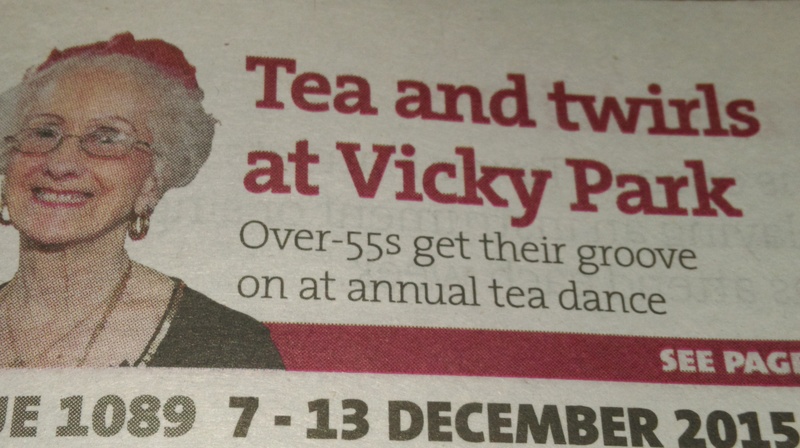 The local paper is covering this year’s annual over-55s tea dance with a flourish. When I saw the front page I went into a bit of a decline. … a merry and magical afternoon of old-time dancing…. live music by The Sunshine Kings, one of London’s top jazz and swing bands along with seasonal refreshments and mince pies. Dance leader, Tony Lane, will be demonstrating stylish steps on the dance floor including Waltz, Ballroom, and Latin. Sounds like something my parents might have enjoyed. It doesn’t appeal to me. Like everybody else of my age, I started getting into pop music in the 1970s. I hit the dance-floor as disco was wheezing its last, to be replaced by punk and 2-Tone. The first proper gig I ever went to was Roxy Music (Birmingham Odeon, 1980, lashings of eye-liner). I wouldn’t recognise a waltz if it tripped me up on the way to the bar. If 50 is the new 40, and 60 is the new 50, what do you call the cohort of people who – I suspect – this event is really aimed at? Has “pensioners” become such a loaded term that we can’t use it any more? Elders? Senior citizens? The intergenerational foundation says it’s OK to use OAP but that feels somehow rude. Does the fact that I don’t know the acceptable word imply that it is now demeaning to use any phrase which suggests age? If “over-55s” has become the generic phrase for describing people who are, well, old, what does that mean for people who are actually in their 50s and fighting to be seen as productive, creative, engaged members of the community and maintaining a hold in the workplace? (Do I mean me? I certainly do) Does the charming lady in the picture really represent the brand of the over-50s? Riding the diversity tsunami – why a diverse workforce make business sense. It’s always nice to feel you’re on the side of the angels. almost two-thirds of people in the UK feel the ad industry does not represent them, and almost two-fifths say advertising characters and messages fail to reflect British society as a whole…. one in six say they are prepared to avoid buying products from companies that fail to take diversity seriously. It seems, that the public are ahead of the PR and marketing industries on this one. The CIPR report is sobering reading, highlighting a slow rate of progress in closing the gender pay-gap, welcoming employees with disabilities and – my personal bugbear – focussing so much on the “young and dynamic” that it forgets the insight that experienced (and dynamic) older professionals offer. Many of the speakers yesterday repeated the mantra that “there is no magic bullet” for resolving the unconscious biases which dog recruitment – not just in PR but pretty much everywhere. But there were some great case studies showing how diversity helps business. I liked the story of the owner of a small PR agency who grew her business by recruiting an ethnically diverse team – confessing with admirable honesty that it was mainly because of the financial support Creative Access offered her to do so. She soon found that her small business was out-competing larger agencies, winning international contracts because they had staff members who could – literally – speak their clients’ language. My example – told here before – of the agency which couldn’t find a way to talk to an audience of over-50s fits that narrative exactly. Putting it bluntly, if you don’t understand the UK’s ageing population and you don’t know how to talk to older people, you can’t sell them stuff (and like it or not, we’re the bit of the population that’s still got a disposable income…) Having a workforce that looks like the people it’s trying to communicate with – in terms of age, gender, ethnicity, sexual orientation and the representation of people with disabilities – isn’t just a nice thing to do, it makes sound commercial sense. There was agreement yesterday that the greatest chance for achieving change will come from pressure on companies from their supply chains; which is why that one in six who might change their purchasing behaviour if companies don’t take diversity seriously are so important. As an industry we need to catch up with our customers. The stereotypical portrayal of older people. The old man is lonely, sad and needs rescuing by a child. Undoubtedly many older people are extremely lonely, but many are not. We could do with some positive images in adverts as well as the helpless and isolated. Why couldn’t he have been befriended by the child’s granny? She could be a happy, smiley woman who’s central to her own extended family. She could help the child make sense of the old man’s plight – and suggest how to help. It’s a non-solution solution to loneliness. The present sent to the old man allows him to look in through the window of the child’s house. He’s clearly not invited to join the family for tea. This probably makes the givers (us) feel a whole lot better than the receiver who is, after all, still left out in the cold. Maybe a very long slide from the John Lewis toy department could have been extended to his lonely eerie by smiley Granny and they could have slid back to the Christmas party together in a daring whoosh of jollity, fun, and a flash of support stockings. But would bringing him into the house have raised too many awkward issues about how far we are actually prepared to go to alleviate loneliness at Christmas? Marketing trumps social conscience. I strongly suspect that, however well Age UK will do out of the ad, John Lewis will do a whole lot better. Age UK doesn’t get a name check anywhere on the advert. It will benefit from a ‘text £5’ fundraising campaign and from 25% of the sales of a mug with the campaign logo on it. There’s a range of other stuff available which is linked to the campaign, but it looks like Age UK only get a cut of the profits on the mug and a card. There’s absolutely nothing wrong with John Lewis wanting to make money at Christmas. I just feel a bit queasy about the holier than thou tone it takes while it’s doing it. Worthiness trumps fun. There’s not a hint of wit or laughter or real warmth in the whole 2 minutes. Nothing to make me crack a smile never mind make me feel well disposed to the notion of Christmas shopping. Next year, John Lewis, your challenge is not to alleviate suffering or bring world peace, it’s to make me smile. Go on. I dare you. As previously stated. It’s an advert. For a shop. Designed to make us buy stuff at Christmas. I hate it for dragging me into its self-satisfied orbit. It needs to get over itself. If you want to make a donation directly to Age UK, by the way, you can do it here.